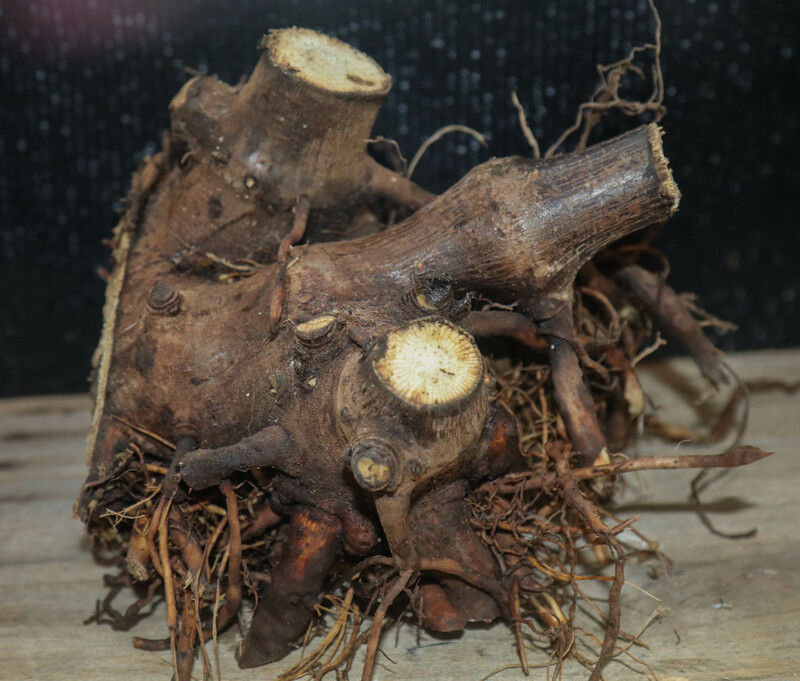 We recently tinctured fresh Kava kava (Piper methysticum) root. 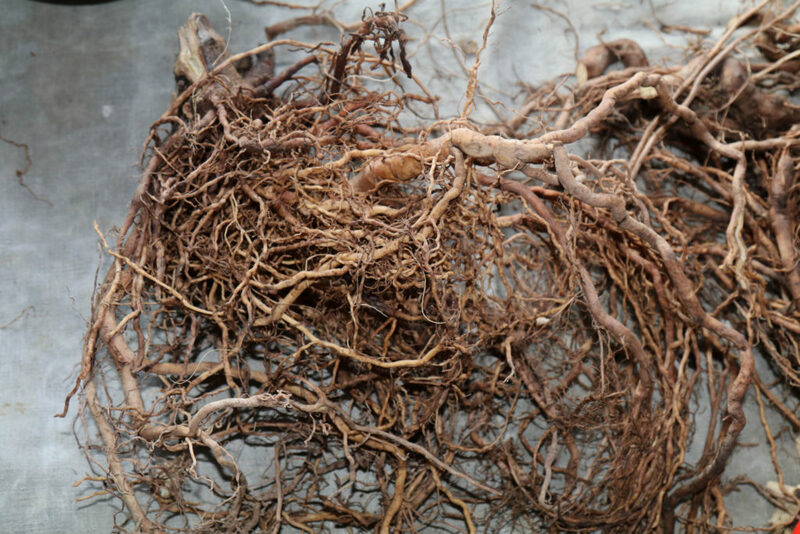 I purchased the fresh roots (primary and lateral roots) from Adaptations in Hawaii. They came second day air and on the following day we tinctured them up. 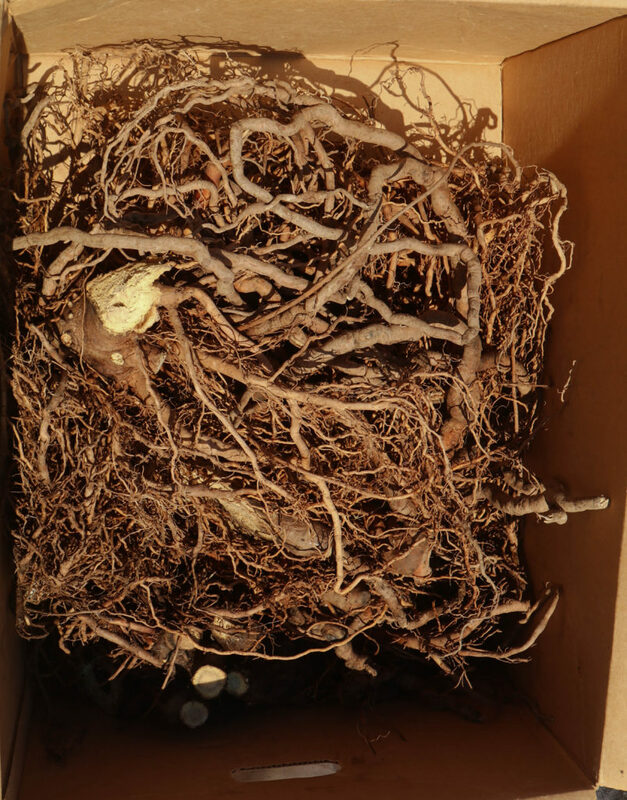 Fresh Kava kava (Piper methysticum, Piperaceae) that just arrived from Hawaii. It is still in the carton it came in. The root crown of the Kava kava plant. Only the underground structures are used for the medicine. 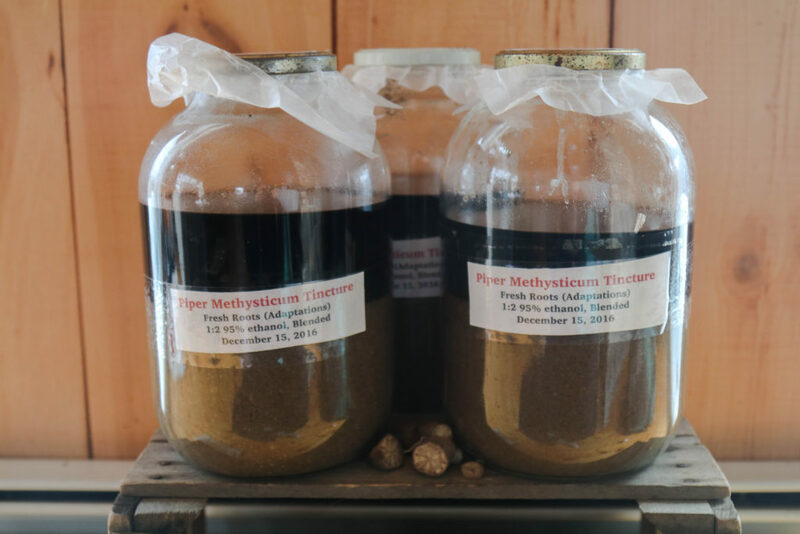 Here is the process used to make the tincture. I was fortunate to have the help of Ly, Carly and Courtney. First the roots are cut into sizes that can be processed by the Vita-mix blender. Kava roots are not particularly tough, and other blenders would likely work as well (as opposed to notoriously hard roots such as Redroot [Ceanothus species] or Wild yam [Dioscorea villosa]). For cutting the roots we use a variety of tools. Pruners are used for small roots, a cleaver for larger roots and a small hatchet for the largest roots. 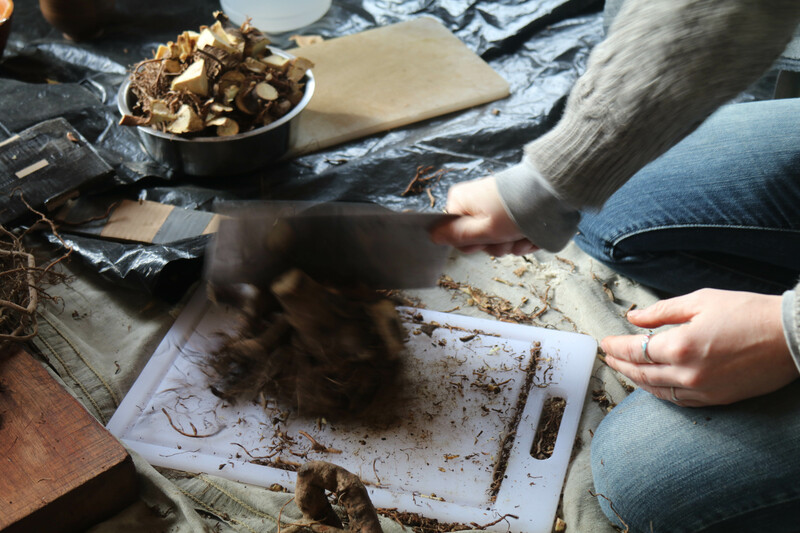 Courtney chopping Kava kava roots with a cleaver. Ly cutting Kava kava roots with a small hatchet. 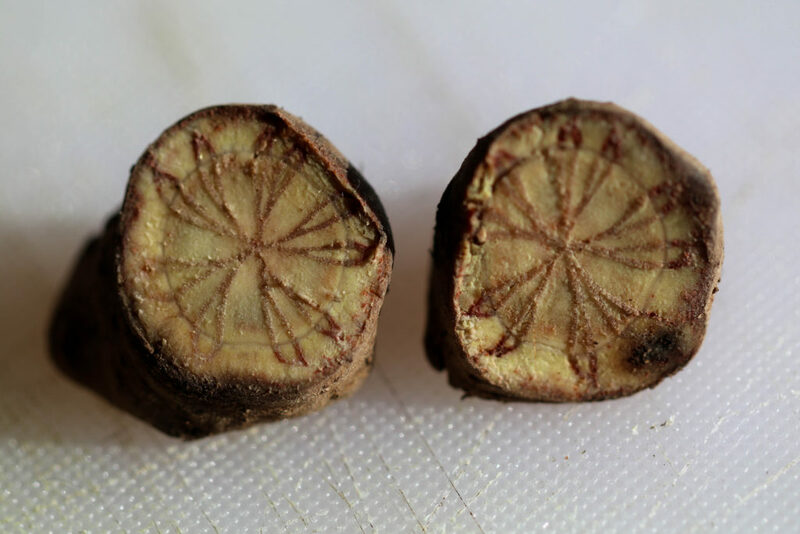 As with a number of roots, there is a lovely design in the cross section. 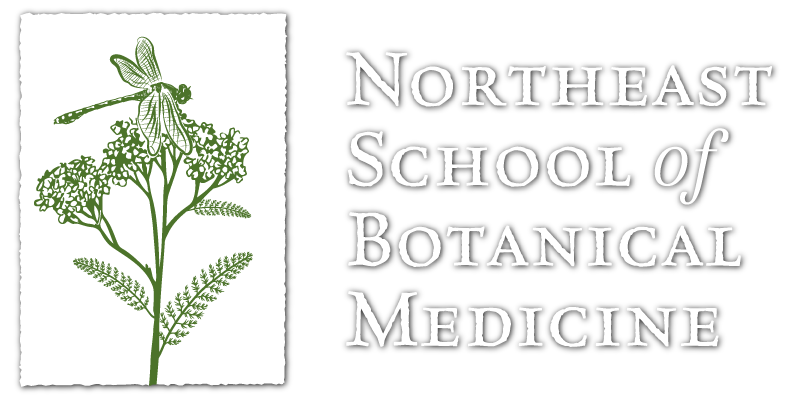 The tincture is prepared in a 1:2 ratio in 95% (190 proof) ethanol. The ratio is plant weight: fluid volume. 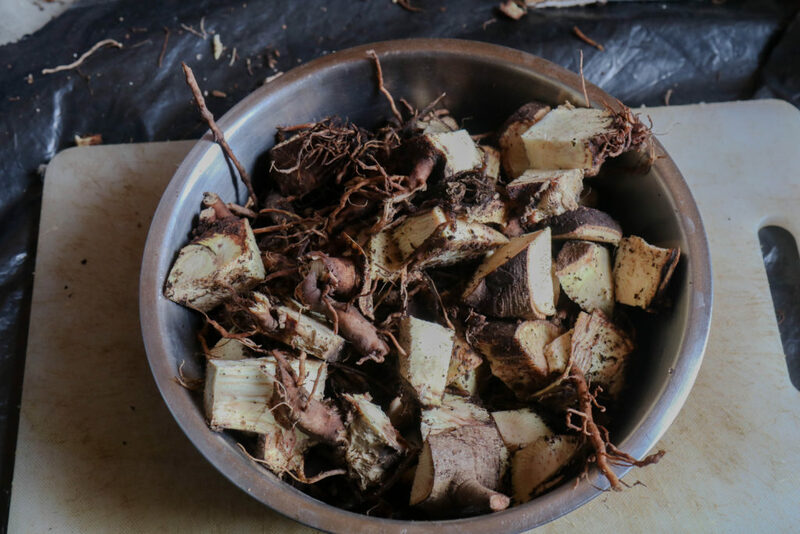 To make this process easier, after cutting the roots they are divided into 1 lb (16 oz) batches. 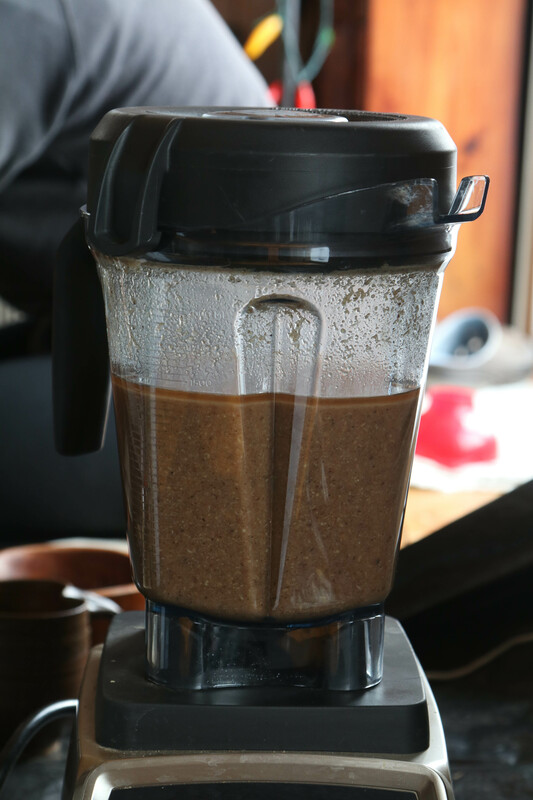 Then 1 pound of root is put into the blender along with 32 oz alcohol (the fluid volume). This proportion of roots and liquid fits effectively into this size blender. One pound of cut-up Kava kava roots. 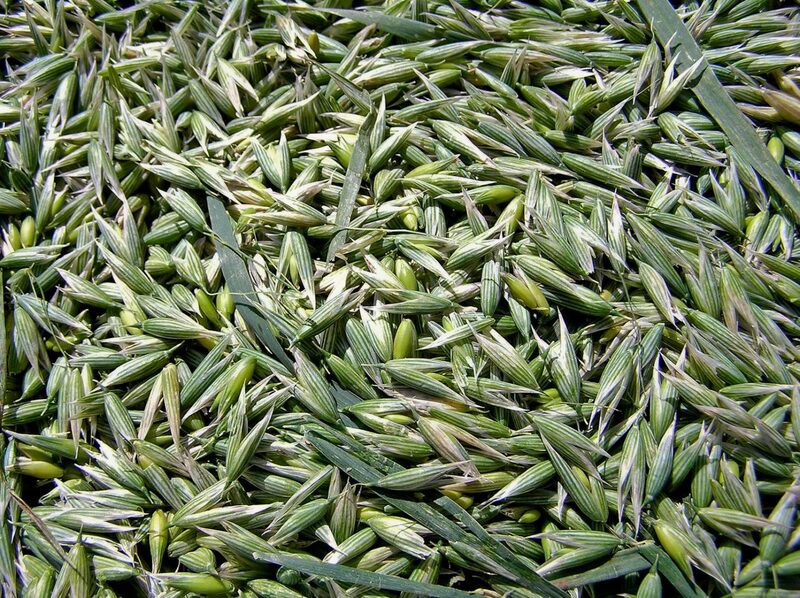 The reason for 95% ethanol (‘drinking’ alcohol) is that there is a lot of water in the plant and the final product will be diluted after the tincture is pressed. This ratio will extract most of the soluble constituents while still preserving the tincture. 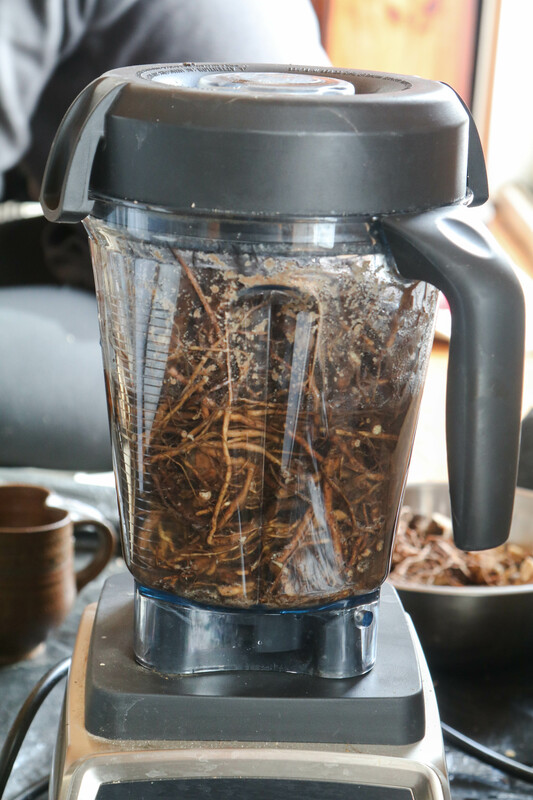 We then blend the roots (action shot https://www.youtube.com/watch?v=YhLPTP_AndM) and pour them into gallon jars. 1 pound of Kava kava roots and 32 oz of 95% ethanol in the blender ready to be blended. The now blended 1 pound of Kava kava roots and 32 oz. of 95% ethanol. The jars are rinsed, labeled and will sit for a minimum of two weeks and then pressed in a tincture press. The finished labeled Kava kava tincture. Next step, press them in a tincture press in about 2 weeks. I use Kava kava tincture in a number of ways; as an anxiolytic (anxiety reducing), a sleep aid, and an inebriant (a disinhibitor of sorts). It is very idiosyncratic in its effects and some folks will enjoy the relaxing/ sedative qualities while others will find it disagreeable. 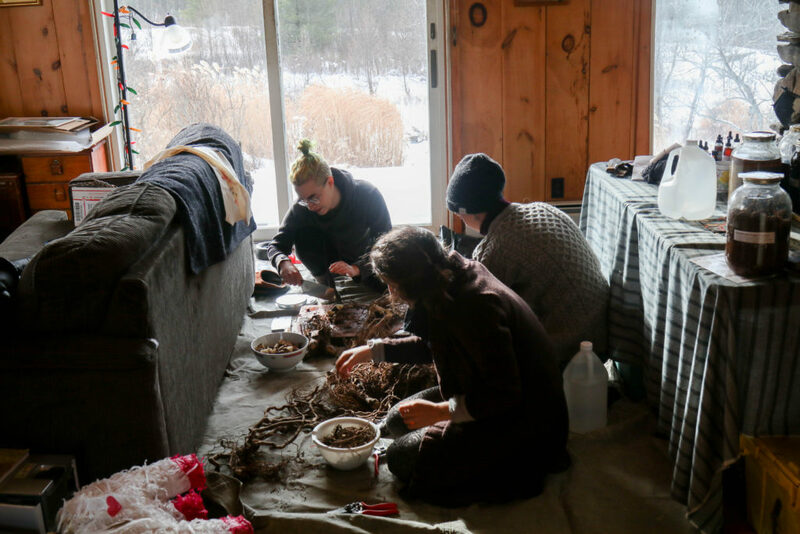 2 Responses to "Preparing fresh Kava kava root tincture"
I think it’s safer to peel the roots. 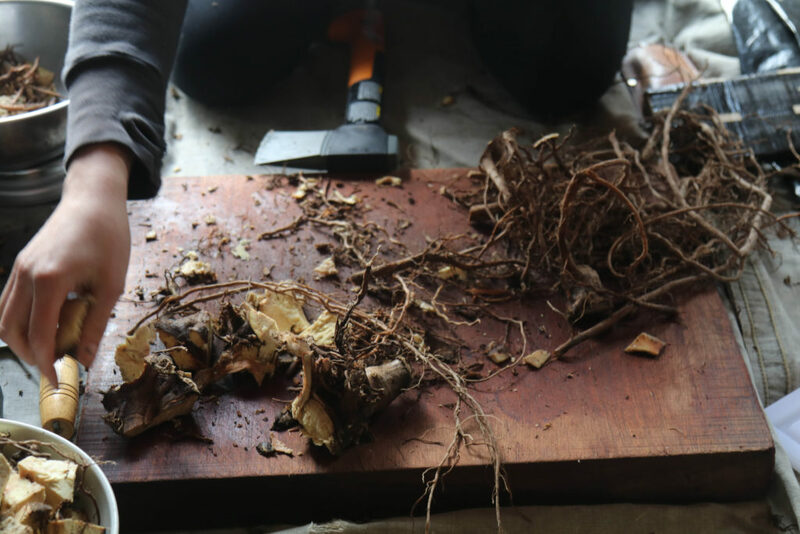 In Australia we’ve had ethanolic extracts banned as some hepatotoxic compounds extracted in ethanol where rootlets & unpeeled roots used. 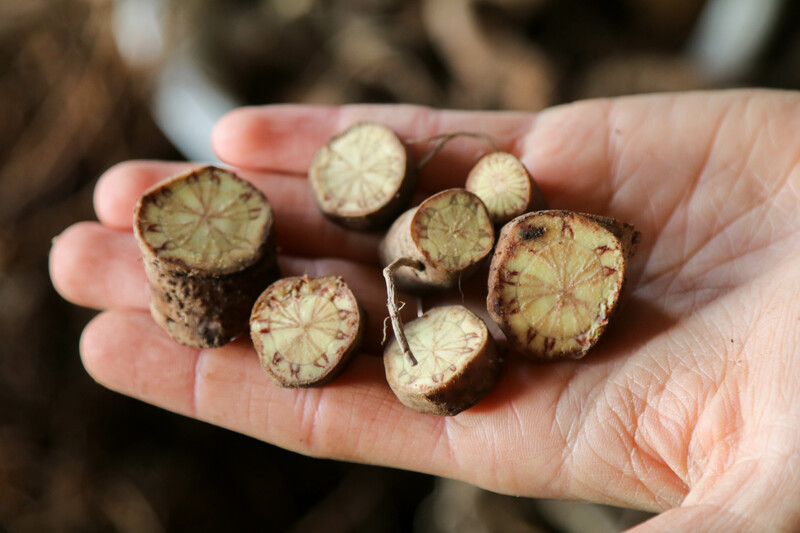 We can now only access more traditional water extracts & dried kava.